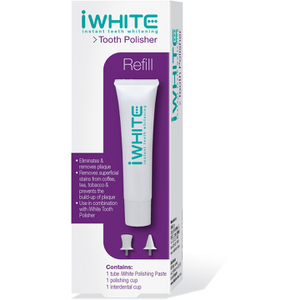 Restore the whiteness of your teeth with the iWhite Whitening Toothpaste range from Mankind - Your first step to a Hollywood smile. 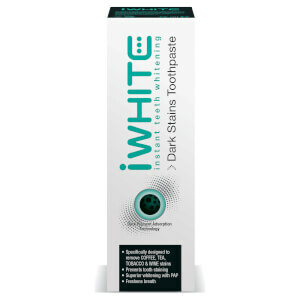 iWhite Toothpaste and Teeth Whitening products at Mankind strengthen and whiten your teeth in one step. As a complete teeth whitening range, with a scientifically proven formula, it is 100% dental safe and designed to give an immediate tooth whitening effect from the first application. 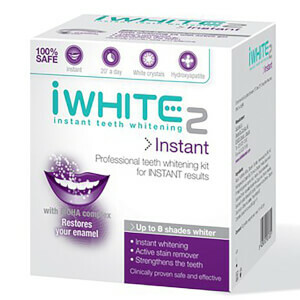 Get instantly white teeth using the iWhite Instant Teeth Whitening Kit, which utilises FCC (Filmo-crystallized Calcium) Technology. Providing an instant whitening effect, this tooth care kit also strengthens your teeth whilst removing stains. A safe and effective gel formula makes the whitening kit easy to use from the comfort of your very own home. The flexible mouth tray provides a comfortable fit tailored to the wearer and can be worn for up to 20 minutes a day five times a week. You can achieve a whitening result that can lift stains from your teeth to make them up to 8 shades lighter. 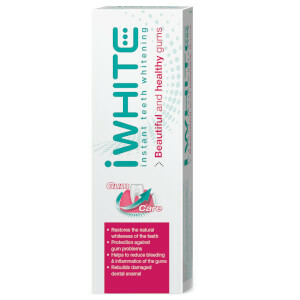 Use the iWhite whitening mouthwash each day as the final step in your oral hygiene routine. Blended with blue covarine, you can enjoy immediate results, as well as strengthened teeth with the fluoride formula. This whitening mouthwash discourages the formation of new tooth plaque as well as dissolving tooth discolouration, giving you a beautifully white smile each day. 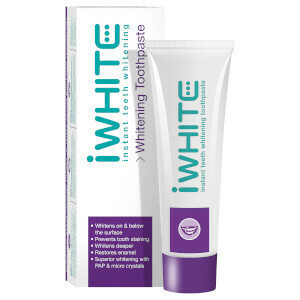 Used on a daily basis, the iWhite Whitening Toothpaste will strengthen your teeth, restore the enamel and of course, provide you with a whiter, brighter smile. 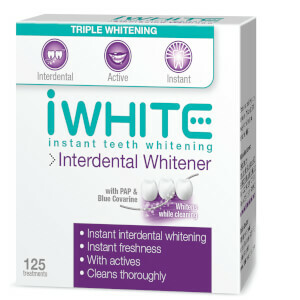 A hassle free approach to maintaining and boosting the whiteness of your teeth, the iWhite range is the perfectly effortless way to ensure a Hollywood smile each and every day. 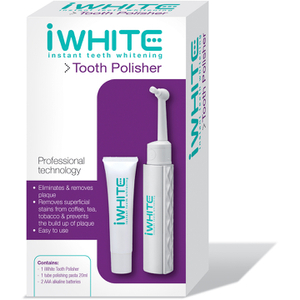 The iWhite Tooth Whitening Polisher is an easy to use dental polishing device which rotates in a circular motion. The specialised polishing tip helps to remove plaque and superficial stains such as tea, coffee and tobacco stains. Three innovative enamel friendly ingredients, polishing crystals, micro-pearls and pyrophosphates are used to prevent plaque build-up. Use once a week.